Meeting and assistance on arrival and transfer to hotel Indiana Palace. 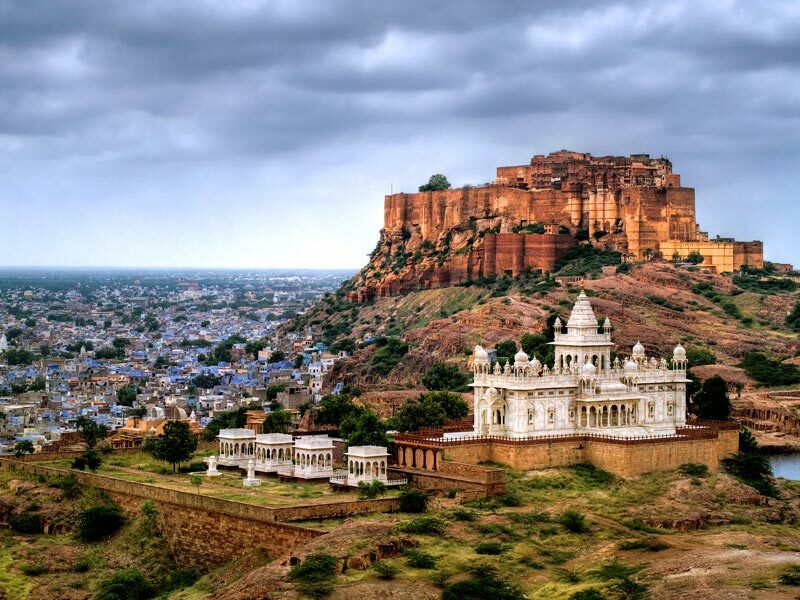 Morning proceed for city tour visiting the 5-km long Mehrangarh Fort situated on a 125-mt high hill. This is one of the most impressive and formidable structures in Rajasthan. Within the fort are some magnificent palaces with meticulously carved panels, latticed windows or "Jarokhas" with evocative names. The chambers of Moti Mahal, Phool Mahal, Sheesh Mahal, the Sileh Khana and the Daulat Khana are noteworthy for the splendor and glamour of a bygone era. 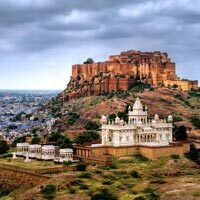 of Jodhpur, & probably the last of the great palaces of India and one of the largest residences in the world – set amidst 26 acres of lush gardens. Named after Maharaja Umaid Singh, grandfather of the present Maharaja of Jodhpur, this golden-yellow sandstone monument was conceived on the grandest possible scale, in the fashionable Art Deco style of that time. After 15 years in construction, the 347-room palace was finally completed in 1943 – and has served as the principal residence of the Jodhpur royal family since. This palace hotel is a fine example of art deco. Morning drive to Jaisalmer. On arrival check in at Camp. carved buildings, through which camel carts trudge leisurely, has an extraordinarily medieval feel and an incredible atmosphere. The fort inside perched on its hilltop contains some gems of Jain temple building, while beautifully decorated merchants’ havelis are scattered through the town. Morning after breakfast transfer camp to Hotel Gorband Place. Later city tour of Jaisalmer visits the Jaisalmer fort that stands about 100 meters over the city and in fact houses a citadel within its huge ramparts. Walking down the narrow cobbled stone lanes, one can feel the sheer magic of Jaisalmer. 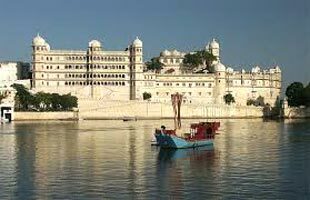 Several entrances called Pols, including the Ganesh Pol, Suraj Pol, Bhoota Pol and the Hava Pol guard the Megh Durbar and the Jawahar Mahal which were occupied by the royal family. Also visit the Havelis (mansions of the rich merchants) have beautifully carved facades, jali screens and oriel windows overhanging the streets below. Visit Salim Singh Haveli (17 century) which is especially attractive with peacock brackets. Nathumal Haveli (1885) was built for the prime minister. Patwon Haveli (1805) is a group of five, built for five brothers. Possibly the finest in town. They have fine murals and carved pillars. A profusion of balconies cover the front wall. Morning drive back to Jodhpur. On arrival transfer to airport to connect flight for onward destination. Our service end with this departure transfer.